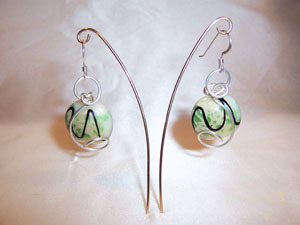 Lampwork glass earrings. Sculpted in sterling silver these earrings are very contemporary in style and a nice neutral color. Measures 2"x.75". Ear wires are sterling silver.